Green Valley Ranch Resort, Spa, & Casino offers the most luxurious hotel rooms in the entire Las Vegas Valley. Our spacious, elegant rooms feature large bathrooms and modern conveniences, offering guests everything they need for the perfect stay. 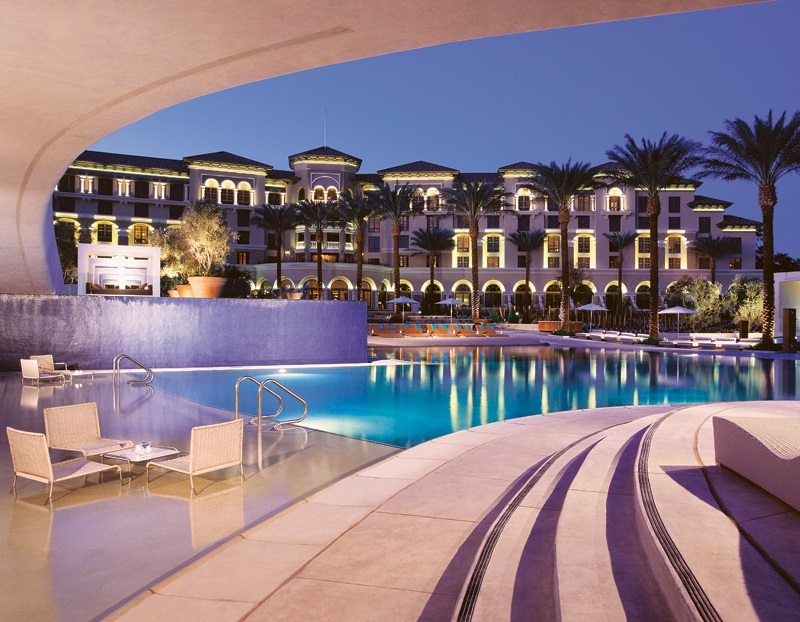 No other off-Strip hotel can compete with the comfort, luxury, and value provided by GVR. 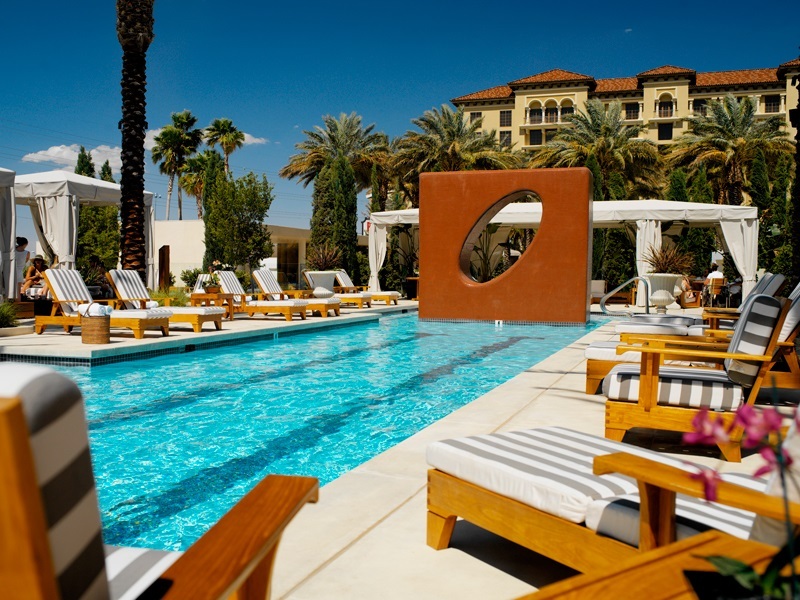 The Spa at Green Valley Ranch offers the ultimate experience in relaxation and rejuvenation. 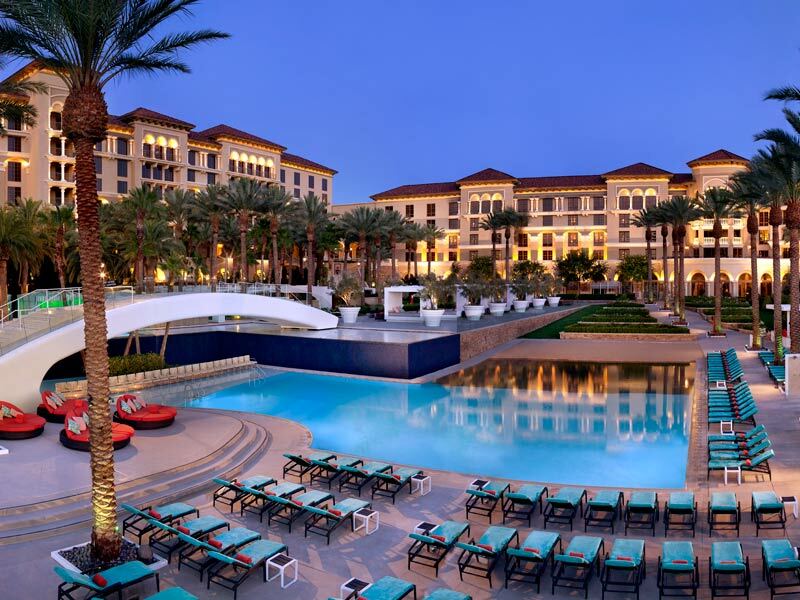 Our 30,000-square-foot facility is exquisitely designed and supremely located within GVR's lush, finely-manicured grounds, offering the perfect refuge from the hot desert sun. Including a state-of-the-art fitness center and a full-featured salon, as well as a variety of holistic spa treatments, The Spa will nourish your body, mind, and spirit. It's no wonder we're consistently voted the Best Spa in Las Vegas — no one else can compare! Want that world-class Las Vegas fine dining experience, without breaking the bank? Green Valley Ranch is home to the best restaurants in Henderson, featuring excellent food at affordable prices. Seeking a true fine dining experience? We're known for serving up authentic Italian cuisine, superb Japanese food, and the best steaks and seafood in Sin City. If it's a more casual dining experience that you're craving, then our Feast Buffet and quick-serve restaurants are sure to please your palate. Play to your heart’s content at Green Valley Ranch’s state-of-the-art casino, open 24 hours a day, 7 days a week. Choose from thousands of your favorite slot machines, or try your luck at table games, video poker, bingo, and keno. For a more interactive gaming experience, visit our incredible poker room or spend some time at our thrilling race and sports book. And don’t forget to maximize your return by earning rewards points with our Boarding Pass players club, voted the best players club in Las Vegas for over 13 years straight. The action never stops at GVR, where your chances to hit the jackpot continue getting bigger by the minute! Green Valley Ranch is home to the best off-Strip entertainment, featuring world-class headliners and incredible concert venues. It's no wonder that so many Las Vegas locals rate our Henderson property as the top "go to" destination for live music . Oh, and on your way to the show, be sure to stop by one of our many inviting bars or lounges, where amazing cocktails and great times are always on offer. If it's family-friendly entertainment that you're after, then you can rest assured that our on-site movie theater, arcade, and sprawling pool area are sure to provide plenty of family-friendly fun! The perfect meeting starts with the perfect meeting space. We pride ourselves in offering expansive, modern, customizable meeting space perfectly suited for a wide variety of occasions. Our experienced event-planning and catering professionals are ready to work with you to make your corporate event, wedding or private affair effortless, yet unforgettable. Our fully-featured meeting facilities can accommodate groups from just a few dozen people to multiple thousands of individuals. Contact us today to discuss your unique needs. No stay at Green Valley Ranch Resort is complete without exploring our extensive swimming pools and unbelievable sun-lounging areas. Incredible scenery, a sand-bottom pool, and laid-back vibe are what you'll find, along with a great selection of drinks and excellent poolside service. Hotel guests are welcome to enjoy our main pool by showing their room key-card upon arrival. 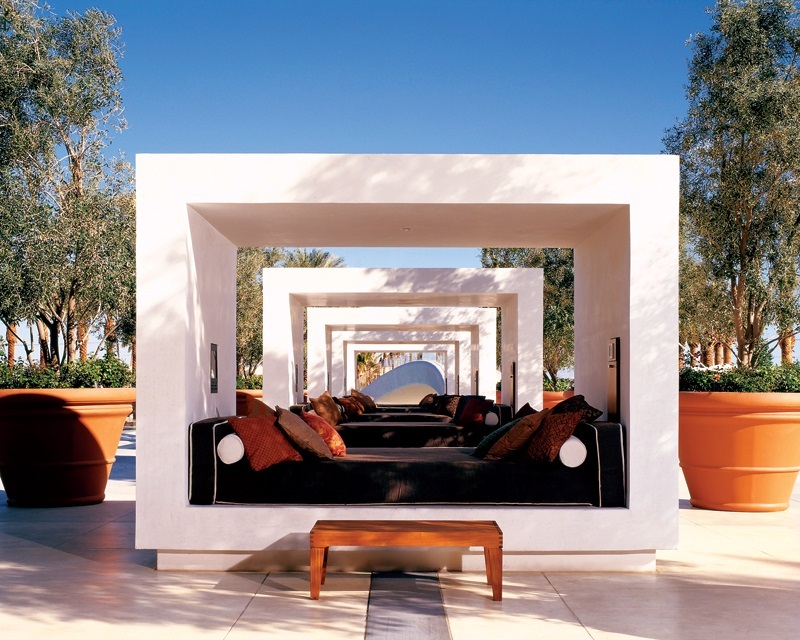 Non-hotel guests ages 21+ may reserve cabanas by calling (702) 617-7744. Based on availability. Maximize the value of your next stay in Henderson, NV, with one of our exceptional resort packages, hotel specials or discounts. Bundle your room rate with entertainment, dining or spa services to save big on your vacation stay. Make the most out of your travel dollars by taking advantage of our online reservations system, where you're sure to find the best deals on offer. Choose Green Valley Ranch Resort & Spa for your special day, and delight your guests with our peaceful setting that honors the wedding ceremony’s beauty and history. Simply stated, Green Valley Ranch Resort is the most amazing wedding venue in Henderson, or anywhere else off the Strip. Featuring elegant architecture and interiors, eleven acres of private gardens, and dramatic mountain surroundings, you couldn't pick a more picturesque location. Contact our professional wedding planners now to start crafting a perfect, fully-personalized wedding package at GVR. Give the gift of classic elegance and undeniable luxury! 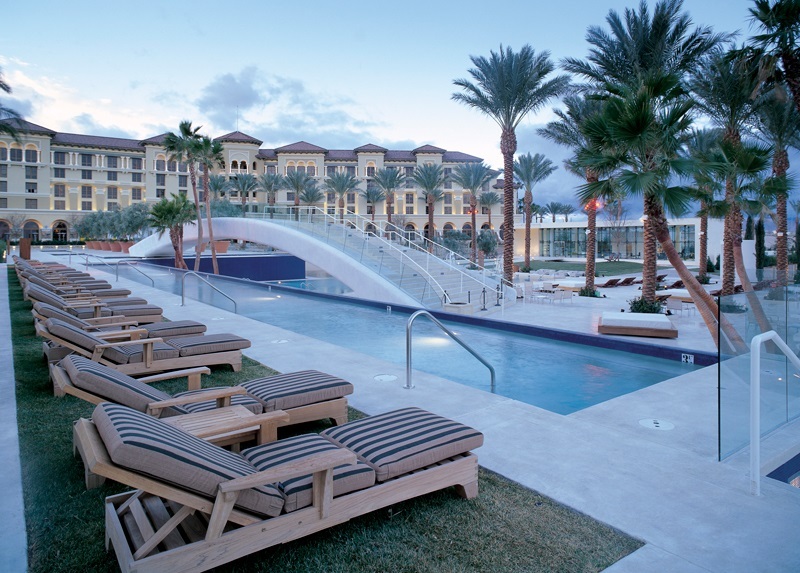 Green Valley Ranch is the finest luxury hotel in Henderson, NV, equally exquisite both inside and out. Our attention to detail, impeccable guest service, outstanding amenities and expansive pool and garden area have earned us a reputation for being one of the very best luxury resorts in the country.